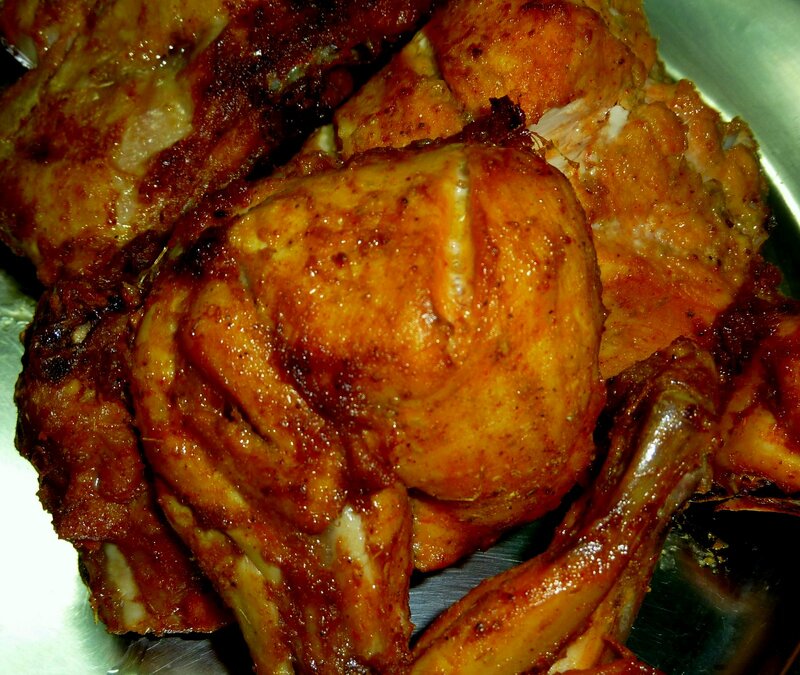 Tandoori chicken is a popular Indian and Pakistan dish consisting of roasted chicken prepared with yogurt and spices. The name comes from the type of cylindrical clay oven, a tandoor, in which the dish is traditionally prepared.The chicken is marinated in yogurt and seasoned with the spice mixture. Wash and clean the chicken pieces and make long cuts on it, also take a fork and pierce it on every side so that the masala is well coated on the chicken. Marinate the chicken pieces with lime juice, chilli powder and salt and keep aside for 3-4 hours. Now in a mixer blend curd, garam masala, ginger garlic paste and green chillies to a smooth paste. Marinate the chicken pieces with this paste and keep aside for 6-8 hours. If you have a tandoor then grill in the tandoor for 20-25 minutes. Serve hot with a dash of lime juice on it. Note – you may use 1-2 drops of red colour. I do not use colour.